1. 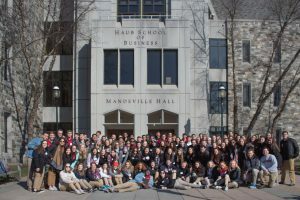 Take a campus tour! Even if you’ve visited before, get a refresher and take a stroll around campus with one of our Hawk Hosts. Join us for lunch in Campion Dining Hall, the main dining hall on campus. Take advantage of the all you can eat buffet and make sure you don’t skip dessert! Get inside of our residence halls and see where our freshman students live, hang out, and have fun. Make sure you ask your tour guide where they lived freshman year! Join us for sessions about everything from financing your education to our co-op programs. Take a look at the schedule when you arrive and build your schedule for the day. 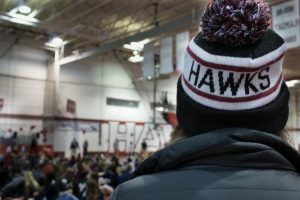 Stop by the bookstore on your way home this weekend and pick up a few things to show off your St. Joe’s school spirit. 7. Hang out with your future classmates! Whether you connected on the Facebook page, or just met at lunch, Hawk Hill is going to be filled with admitted students, just like you! Say hi to the people sitting next to you, follow them on social media, make connections. You can also join our admissions staff for the Talk with a Hawk event: no parents, lots of fun. This is your first chance to build friendships on campus. 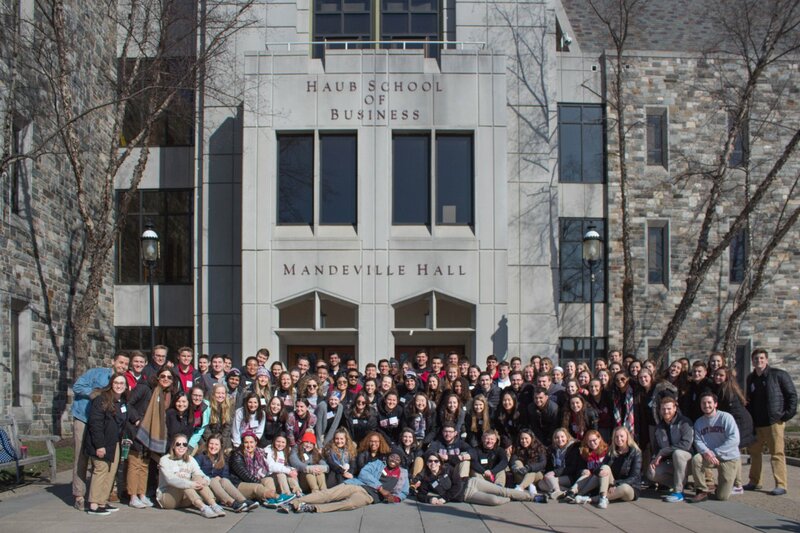 The Hawk Hosts and Admissions Staff all can’t wait to talk to you about SJU. Stop anyone in their SJU gear and ask them why they decided to make Hawk Hill home. Stop by any of our deposit stations to snap a pic of you on campus. Or, take advantage of the incredible backdrop our campus provides! No matter where you take that photo, make sure to post it so we can show it some love! There’s nothing more exciting than making your college decision. 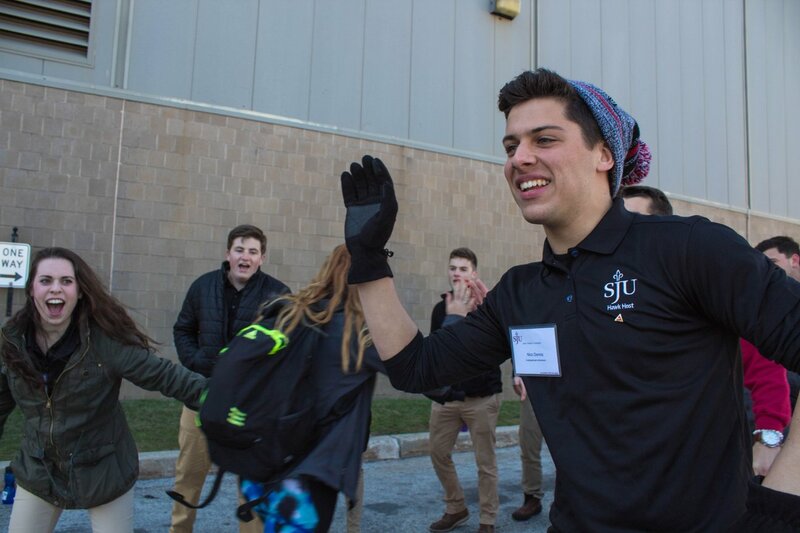 ASD will show you just how amazing SJU is and, hopefully, help you find your home. If Hawk Hill steals your heart this weekend, stop by a deposit station! 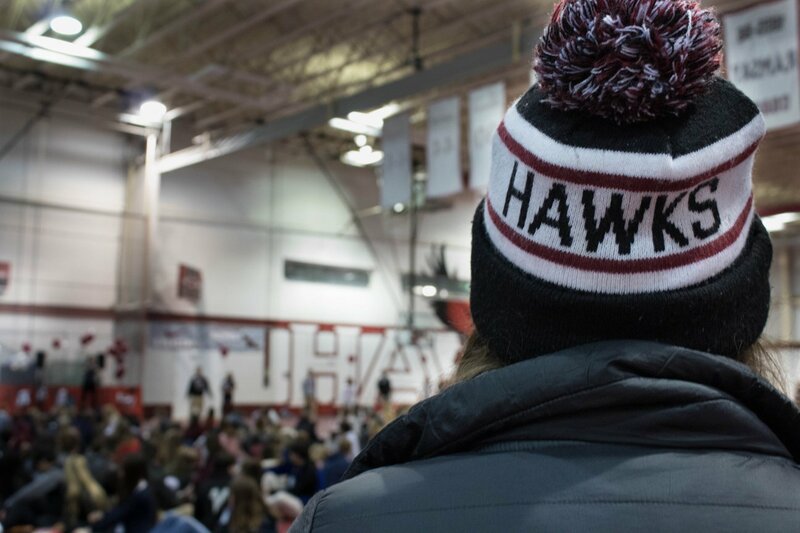 You can secure your spot in our freshman class right on campus, and officially be #HawkHillBound.